Our retreat is scheduled for Friday, March 21 through Sunday, March 23, at Cross Roads Camp & Retreat Center. I am enclosing as much information as I have at this time—the folks have been busy with their camp, and response has been slow. The cost, is $180 inclusive of all meals and lodging. A non-refundable (unless someone takes your spot) deposit of $50 is due by our January meeting, and the balance is due at February meeting. Checks should be made payable to CROSSROADS RETREAT CENTER. Other than meals, there isn’t one. Arrive when you want, leave when you want. If you wish to sleep, you sleep, if you wish to sew, you sew, the campgrounds are available for walking (it is beautiful). Arrival is scheduled for 6 PM Friday. Rooms will be ready. Departure is 2 PM on Sunday. 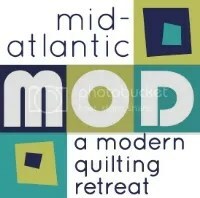 Three areas will be staged: one for cutting/irons, and two (maybe 3) for quilters. FOOD/ DRUG allergies), please send me an email. I’ll keep these in a folder with us at the camp, just in case. Two people to a room. The rooms are like hotel rooms with beds and a private bathroom. Bring toiletries for your use. Two handicapped-accessible rooms are available. We will have the entire building to ourselves. The kitchen has coffee, microwave and refrigerator, but meals are served in another building. Meals are served for groups at 8:30 AM breakfast, 12:30 lunch, 5:30 dinner. On Friday we will have pizza and salad with a dessert (likely cupcakes!). Since the pizza is being delivered, we will eat around 7 PM. Wine is permitted (BYOB). No candles or incense. (I know, why would I think you’d bring these?) There is Wi-Fi at the camp. We get six meals (Pizza Friday night, breakfast/lunch/dinner day Saturday, breakfast and lunch Sunday, plus snacks available throughout the day). I’ve been to this location three times, and have never had a complaint about the food from me or fellow travelers. (You do not forget bad food). Breakfast has included hot and cold cereals, French toast, pancakes, eggs, hash browns, biscuits, bacon and sausage, lunch has been sandwiches and a pasta salad; for dinner, we have had lasagne, chili. Fresh baked cookies, and/or brownies for dessert. You may bring your own food, but there would be no adjustment in the cost. Wear comfortable casual clothes and shoes, umbrella in case it rains. I’m sure we can be in our jammies at night if we like…think of a hotel room. I will provide mats; if you have a travel iron, bring it, and an extension cord, though we won’t need all of them. question of me or the group. I’m hoping that we enjoy this enough to make it an annual thing (bi-annual)?? ?